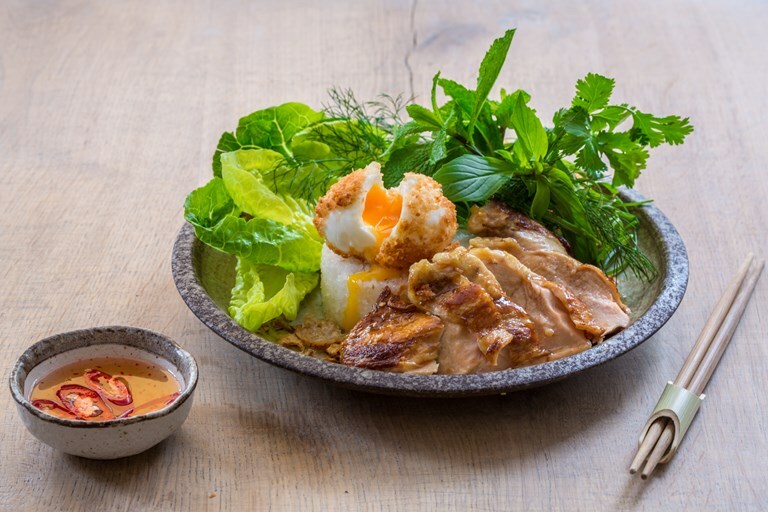 Thuy Pham's spectacular Vietnamese coconut chicken recipe is a feast for the senses, with sweet and aromatic chicken served with a crispy egg for good measure. Serve with plenty of fresh herbs to balance the sweetness of the chicken. Born in Vietnam, Thuy and her family moved to London when she was eight, and now runs The Little Viet Kitchen in Islington, London.